Thank you for taking the time to learn about Weakland farms and our annual corn maze. 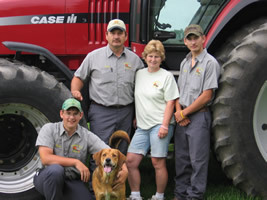 The farm has been owned by the Weakland family for the last 50 years and has been our way of life. Farming requires dedication, hard work, and good weather. more events than before. Weakland Farms is family owned and operated and we take pride in providing a fun, safe, and family oriented activity for our community.